Dermatology is the branch of medicine that is concerned with the diagnosis and treatment of diseases of the skin, hair, nails and adjacent mucous membranes. The skin is the largest organ of the body. 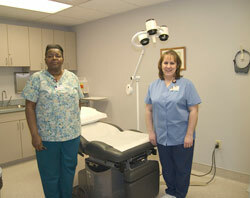 Dermatology deals with the diagnosis and treatment of skin cancers, melanomas, moles, and other tumors of the skin. Dermatologists manage contact dermatitis, psoriasis, and other inflammatory skin disorders, such as rashes. They also diagnose and treat skin manifestations of systemic and infectious diseases.